Toothpaste should contain no less than 1000 ppm of fluoride – check the label for contents. Children below the age of the age of 5 should only use a smear of fluoride toothpaste. Children above the age of 6 can use a pea-sized amount. When deciding to give your children low fluoridated toothpaste, that is less than 1000 ppm, keep in mind that less fluoride exposure equals higher risk of dental cavities. You should always be present when your children use toothpaste. Children should not eat or swallow toothpaste. Professionally applied, high-concentrated fluoride varnish can be used on children over the age of 12 months, if at high risk of dental cavities. Only health practitioners with the apt training should apply fluoride varnish. Children below the age of 6 should not use fluoride mouthwashes. Children above the age of 6 can use fluoride mouthwashes, when they are at high risk of developing dental cavities. Mouthwashes should never be swallowed. Now most of you reading this will question the points above, however, please remember that there is no fluoride in the UAE water and bottled water contains low amounts. 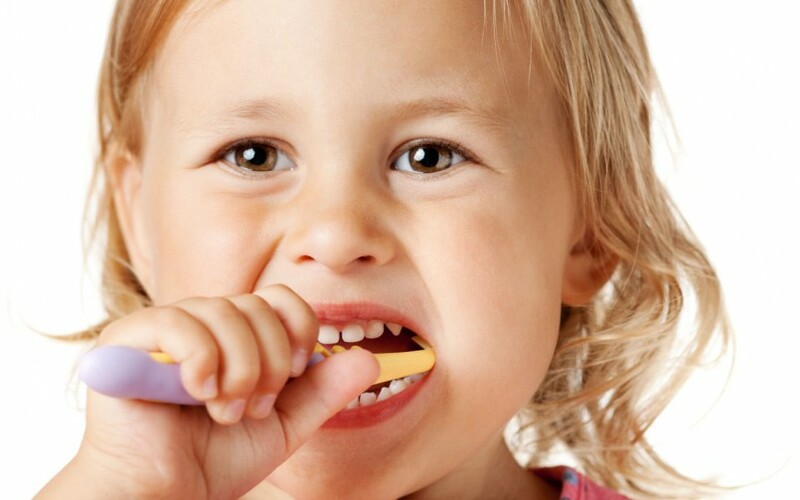 Preventative measures for tooth decay starts at home, hence, it is important to use fluoridated toothpaste. If in doubt, don’t be shy to ask your Pediatric Dentist. This was a wonderful advice. appreciate you writing this write-up and also the rest of the website is extremely good. Next post: Are you dreaming of a Hollywood Smile?